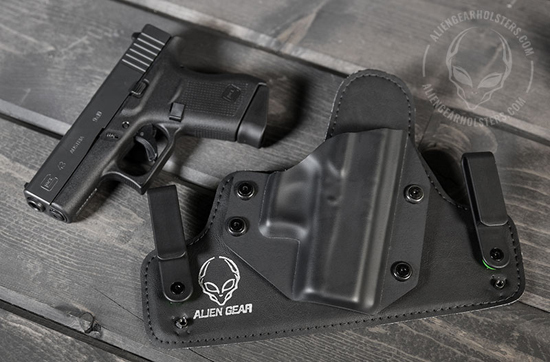 Alien Gear Holsters has announced it’s attaching its unrivaled Iron-Clad Triple Guarantee to every holster it carries. 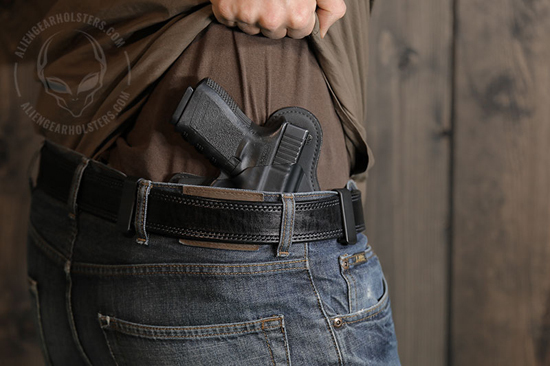 This warranty assures customers that their handcrafted holster will be of the highest quality and caliber. If any part of the holster fails to meet their expectations in any way, Alien Gear Holsters will repair or replace it for free. No questions asked. The Iron-Clad Triple Guarantee is made up of three parts, the first being its 30-Day Test Drive. 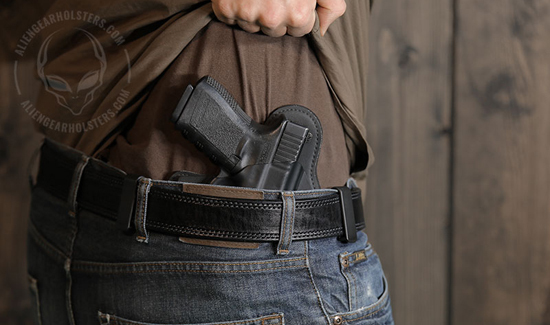 This allows customers to wear their custom holster and test the Alien Gear’s claim of being the most comfortable, concealable holster on the planet. Any planet. If they are not completely confident in their purchase, they can send it back. Simple as that. Alien Gear holster owners are also guaranteed Free Shell Trades for Life. This allows open carry and concealed carriers to trade in their custom-molded shell whenever they swap out their sidearm. Based in Hayden, Idaho, the company supplies its holster owners with an unlimited amount of shells. No other holster company offers this service. Lastly, a Forever Warranty backs every Alien Gear holster, which guarantees free repairs and replacements on any part of the product. If it breaks for any reason, we’ll repair or replace it for free. They’ve got you covered. Forever.